Ram Sewak Sharma on Thursday was reappointed as the chairperson of Telecom Regulatory Authority of India (TRAI) with his term being extended till September 30, 2020. 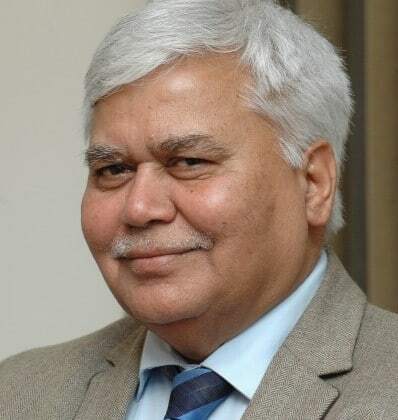 “The Appointments Committee of the Cabinet (ACC) has approved the reappointment of Shri Ram Sewak Sharma, IAS (retd) as Chairperson, TRAI for a further period beyond 10.08.2018 upto 30.09.2020 i.e the date on which he attains the age of 65 years or until further orderd, whichever is earlier,” an official order issued by the Personnel Ministry stated. The statement added that the necessary communication in this regard has been sent to the Department of Telecommunication. Sharma was recently in news as he had disclosed his Aadhaar number on Twitter and threw an open challenge to people to show how much knowledge of 12 digit number could be used to harm him. Many people criticized him for throwing such a challenge. According to PTI reports, UIDAI had asked people not to share their unique identification number publicly or pose such challenges to others. RS Sharma Reappointed as TRAI Chief 0 out of 5 based on 0 ratings. 0 user reviews.